First to fly around the world by riding jet streams possible? My questions are related to a scenario discussed on Earth Science: A huge (heavier-than-air) kite sailing in and out of the jet streams. You can track the Jet stream for this purpose with a satellite link. Such an airship exists and there is a person aboard, with an oxygen mask. The person is thermally insulated to keep the heat inside. 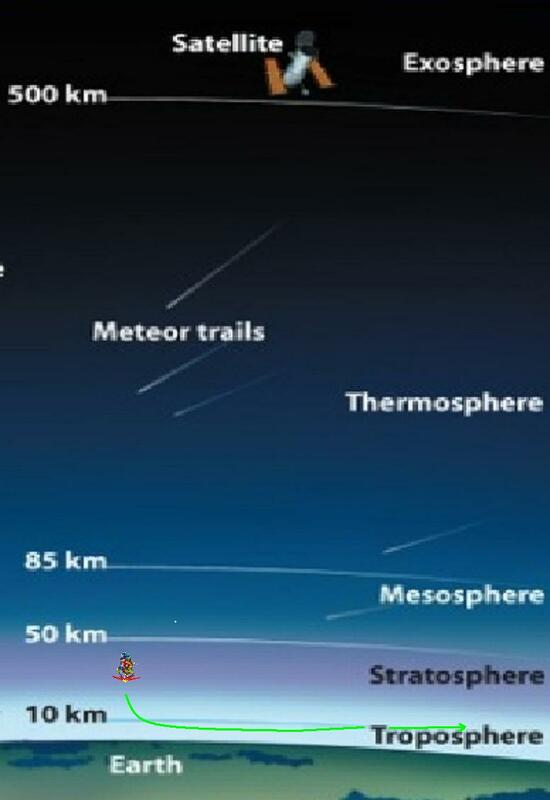 The jet streams are at an altitude around 9–12 km (30,000–39,000 ft) . Is it possible using the jet stream systems to go around the world? Can the kite fly at speeds around 80-150 km/h related to the ground? Can it sustain a free fall from its cruising altitude around 9–12 km so that the pilot can land maybe using a parachute? Launch Considering the altitude is up around 9–12 km then air would be thinner the size of it will have to be much larger to compensate. Use a cable and boat to lift the UltraKite into the Jet Stream. 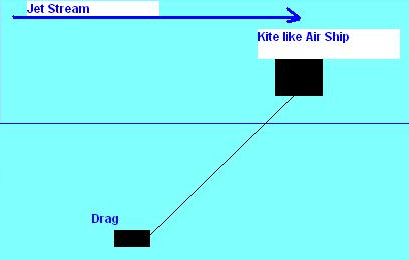 At preferred altitude cable then can be mechanically released from connected drag section of the kite. A drone or balloons could replace boat and then dropped. Maybe the person could ride in the drag section. Long Term Altitude with Ultralights Gliders on Record. As commented by @Jan Hudec: This is supposed to be a kite, but instead of being fixed to the ground as normal kite, it would have just a cabin with a braking parachute flying below the jet stream and the kite flying in the jet stream, so the whole thing would move at some speed between the slow speed of the wind at low altitude and the high speed of the jet stream. It's certainly possible to build a kite that could lift a person. Unless the person trails well below the kite, they will need some protection from the environment. Air gets colder at high altitudes, and the lower air pressure makes it harder for the body to get enough oxygen. Some type of suit or cabin could provide basic protection, and there would need to be some way to provide some combination of pressurization and supplemental oxygen. Higher pressure like that on airliners would require a heavier capsule, but occupants would not need to wear an oxygen mask as they would with lower pressures. As Andrius noted, at higher altitudes, even pure oxygen would not be enough and some pressurization is required. While it's possible to ride the jet stream around the world, it would take some luck. The jet stream changes location over time and is not always continuous. The speed is also variable and may not always be more than 150 km/h. The kite will fly at some speed slower than the jet stream in order to continue providing lift. For returning to earth, there are multiple options. A parachute system could be fairly light and compact, but would not allow as much control over the landing location. However, some type of gliding may also be an option. 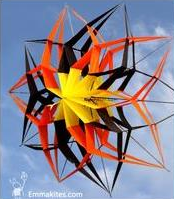 The kite will need some way to be steered in the air, and towing a glider would allow control, efficient lift, and protection for the occupants. If you asking about oxygen? Pressure of the oxygen has to be not below certain value even if you breath 100% mixture. After training it's possible to breath pressurized oxygen at high altitudes, bet at very high altitudes pressure suit is required anyways. What is the typical temperature of an airliner's hull during flight? Are fighter jet cabins pressurized? What flies better in turbulent wind? How can I properly model paper airplane physics? Is there a way for an ultralight or powered glider to smoothly enter a jet stream? Can a kite take advantage of crosswinds to gain speed? Could “Mimiron's Head” or “flying machine” fly in the real world? Would an aircraft with contra-rotating propellers longer than the plane's wingspan be able to fly? What was the first jet-powered supersonic aircraft? Could TCAS be used as a backup source for position, attitude or air data? What aircraft broke the most [total] world records? Could a blimp maneuver using a sail?